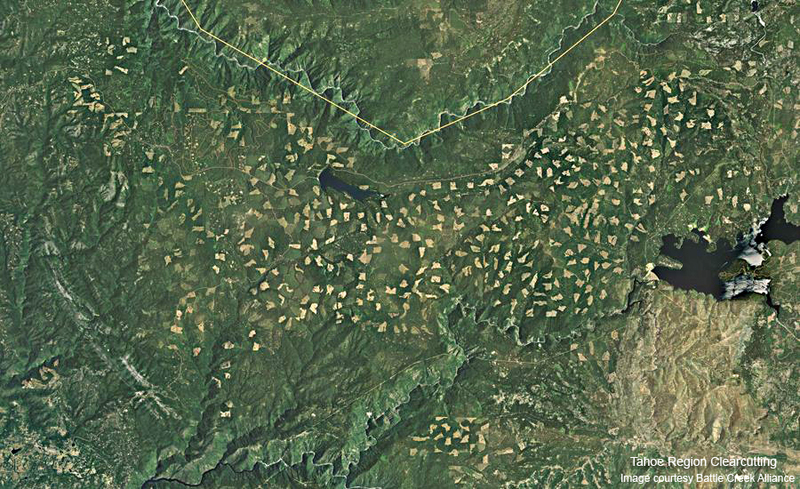 OAKLAND, Calif.— The Center for Biological Diversity and Earth Island Institute today filed a lawsuit against the U.S. Forest Service to halt the logging of critical California spotted owl habitat on the Tahoe National Forest. Six owl territories are slated to be logged in the “Sunny South” project, all of which are important contributors to the overall owl population given the high degree of successful owl reproduction in these old forested areas. California spotted owls are in steep decline on national forest and private lands in the Sierra Nevada region and are being considered for protection under the Endangered Species Act, due in part to the severe impacts of logging, which has significantly reduced the amount of mature forests. 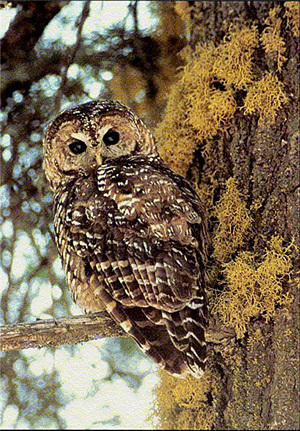 California spotted owl photo courtesy U.S. Forest Service. This photo is available for media use. Not only has the Forest Service authorized the logging of owl habitat, but it is also attempting to use a loophole to get around its legal obligations for ensuring public input and examination of harm from logging. Under the National Environmental Policy Act, the Service must thoroughly examine the impacts of logging on wildlife and forests, accept public comment, and consider other less-damaging alternatives to logging. In this case the Service is attempting to bypass those important obligations by claiming the project is “categorically excluded” from the Act’s normal procedures. The U.S. Fish and Wildlife Service, in a recent settlement agreement with the Center, agreed to evaluate by 2019 whether California spotted owls will be formally protected under the Endangered Species Act. Until the owls receive such protection, it is critically important that the Forest Service comply with the National Environmental Policy Act so that owl habitat will not be degraded. Spotted owls thrive in the mature conifer forests of the Sierra Nevada Mountains, but are in decline due to a host of threats, including clearcutting on private lands and commercial and post-fire logging on public lands. The most recent analyses of the owls’ condition show they are in serious decline everywhere in the Sierra — except on national park lands, where logging is prohibited. The Center and Earth Island Institute are represented by attorneys Justin Augustine of the Center and René Voss, Natural Resources Law, of San Anselmo, California.